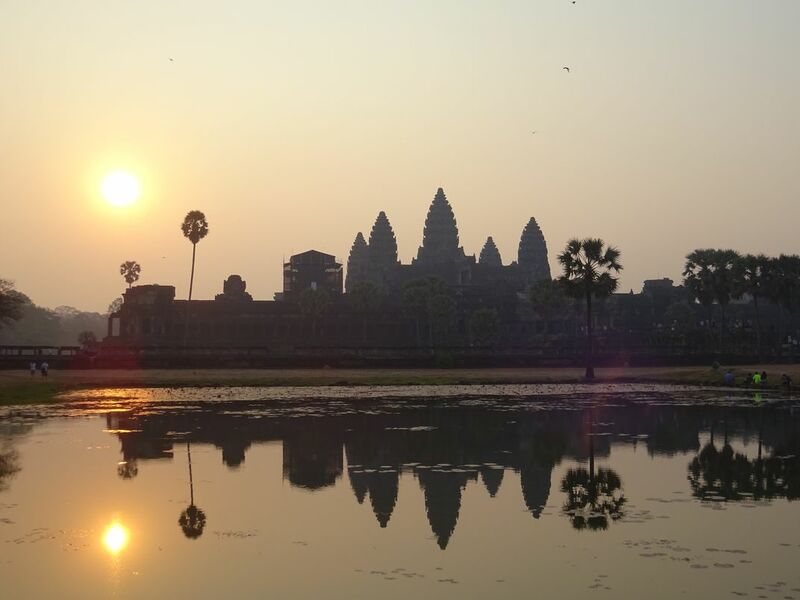 Here is Angkor Wat, the largest religious monument in the world, at sunrise. The palm trees and reflective body of water made the sunrise even more special. Angkor Wat has both Hindu and Buddhist elements.